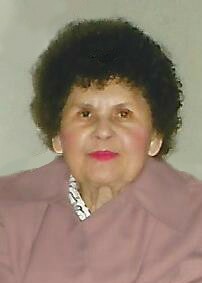 Margaret (Bozik) Klasner, age 98, passed away on November 28, 2018 at Benefis Senior Care. There will be a private family gathering to celebrate Margaret’s life. Margaret, daughter of John and Mary Bozik, was born August 15, 1920 in Great Falls, MT. She was raised in Stockett and went to school there. She married Thomas Klasner of Stockett, where they lived and raised their son, Robert (Bob) and their daughter, Marsha. Margaret’s husband was employed at the Klasner’s family gas business. Tom passed away in 1967. He served his country in World War II. Margaret was a loving caregiver to her parents. She liked to sing, to read her bible, and to pray for her family. She received Jesus as her Lord and Savior at an early age. Margaret wanted to share her favorite bible verse: John 3:16 “For God so loved the world that He gave His only begotten son, that whosoever believeth in Him should not perish, but have eternal life.” Margaret also enjoyed walking and being close to nature. Survivors include her brother, Frank Bozik of Great Falls; daughter, Marsha Kovack; grandchildren, Paula Bergland, Ryan (Jessica) Kovack, Tommy Klasner, Lori Grobler, and Todd and Lanni Klasner; great-grandson, Keegan; Margaret’s daughter-in-law, Sandra Klasner, and her friend Ken Kovack. Margaret was preceded in death by her husband, Thomas; son, Robert; parents, John and Mary; brothers, John, Mike and Andy; sisters, Ann, Helen and Josephine. We will miss her joyful spirit and caring heart! We appreciate the care and kindness she received at Benefis Senior Care, Peace Hospice and her doctor, Dan Gordon. Margaret also fondly remembered Cambridge Place and their staff, where she lived 8 years prior. The family suggests memorials to Victory Christian Church.